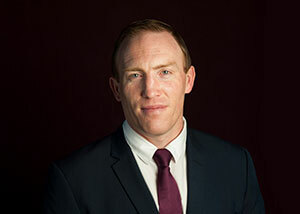 In January 2016 Stephen Walsh becomes a director at Mulcahy McDonagh & Partners Ltd.
Stephen joined Mulcahy McDonagh and Partners in June 2002 as a graduate. He qualified as a chartered surveyor in 2007 and later completed an MSc. In M&E at Salford University. He was promoted to Associate Director in 2014. Stephen has gained wide cost management experience over a 14-year period with MMP. He has a strong interest in commercial, retail and educational projects. He brings his newly acquired skills set to all projects and Clients he engages with. He is a dedicated team member with a strong sense of teamwork both within and outside of MMP. Stephen has a particular interest in BIM-related projects and currently is involved with BIM research at institute level (SCSI) within the profession. John Daly, MD of MMP, congratulates Stephen Walsh. All staff and management wish Stephen well in his new role in MMP.